It's time to play and Elmo has the toys kids love. Open up his toy chest and you'll discover a car and train, roller blades and a helmet, a top, a soccer ball, a baseball bat, a skateboard, teddy bear, and more. 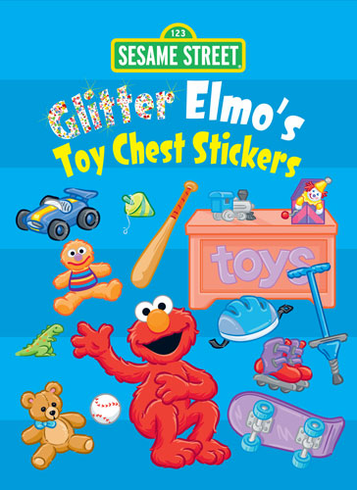 Each sticker features a dash of glitter--they'll sparkle in the sun!